Winning Racing Tips: Will Torcedor Make His Breakthrough At Melbourne Cup? Will Torcedor Make His Breakthrough At Melbourne Cup? Torcedor has established himself as one of the leading competitors in the English flat season over two miles in 2018 and Jessica Harrington will be hopeful that her charge can end the term with a victory at the Melbourne Cup. The Irish horse rose to prominence in the 2017 season – notably with a victory over Order of St George in their clash at Navan in the Vintage Crop Stakes. Aidan O’Brien’s charge was the favourite for the event, but Torcedor produced the upset to win the race. It’s that sort of prowess on the track that makes the six-year-old one of the leading contenders in the bookmakers’ odds compiled by Oddschecker for the meet at Flemington Racecourse. Harrington’s charge was beaten at the end of the last campaign by Order of St George, who earned his revenge for the defeat at the British Champions Long Distance Cup. Colm O’Donoghue in the saddle got a fine performance out of the bay gelding, putting pressure down on his rival down the stretch. The two competitors battled down the final straight, but O’Brien’s charge proved to have the pace when it mattered at the crucial stage to clinch the Long Distance Cup. He returned to action for the start of the 2018 campaign in Meydan at the Dubai Gold Cup. However, Torcedor endured a miserable outing with the worst performance of his career, placing in last out of 16 competitors. 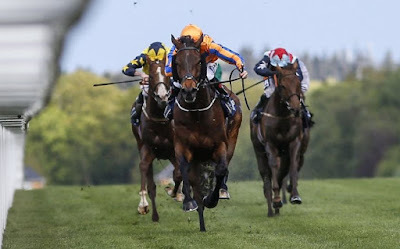 The six-year-old needed a response to put the outing in Dubai behind him and O’Donoghue was able to bring out the best in his charge at Ascot in the Sagaro Stakes. The Irish horse was considered the favourite for the race and duly delivered on expectations with an accomplished display. He had a steady tempo throughout the meet after taking the lead six furlongs from the finish. Torcedor pulled away from the rest of the field to win by five lengths to get back to winning ways. The performance proved to be a fine warm-up for his next outing. Harrington put her charge forward for the Ascot Gold Cup. The bay gelding had competed in the event in 2017, only to finish off the pace of the leading group. 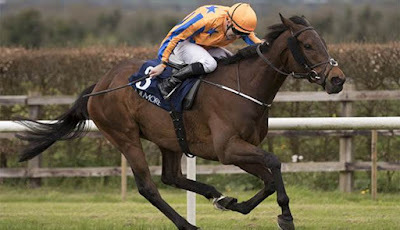 Big Orange won the event ahead of Order of St George, with Torcedor placing down in fifth. He was an outsider with a starting price of 14/1 for the meet, but proved to be a true contender for the crown. 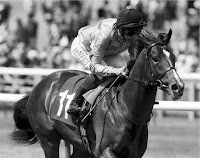 The six-year-old was able to match the pace of the leading group and was in with a shout of the victory with two furlongs remaining. His compatriot Stradivarius had the extra pace when need to pull ahead of Torcedor along with Vazirabad to take the crown. Torcedor did place in third ahead of Order of St George, highlighting the quality of the performance, although not quite good enough for the major victory. The Irish horse would collide with Stradivarius once again at the Goodwood Cup Stakes. John Gosden’s charge was the overwhelming favourite for the title considering his performance in the Ascot Gold Cup. O’Donoghue got a solid run out of Torcedor at Goodwood, but he could not close in on Stradivarius in the closing stages of the race as his rival had the speed to edge away from him, taking the race by half-a-length. Once again it proved that Harrington’s charge has the capability to compete at the major events, although the ultimate success evaded the bay gelding. The Melbourne Cup will give Torcedor a stronger opportunity to break his duck at a major event. The Irish horse does have five victories in the 19 races of his career, although the high point thus far has been his triumph over Order of St George at the Vintage Crop Stakes. He will face competition for the Melbourne Cup with Withhold being the leading contender among the bookies for the title following his win at the Stobart Rail & Civils Northumberland Plate Handicap. On the surface, Torcedor would appear to have a stronger calibre than Roger Charlton’s charge given the standard of competition he has faced over the season. Therefore the six-year-old could finally be ready to make his mark with a victory at Flemington at the beginning of November.